We receive, manage and prudently invest private support for the benefit of the University of Colorado and support the University’s philanthropic endeavors through donor stewardship. We promote private support for the University of Colorado through donor stewardship. We manage and grow the endowment. We ensure the appropriate use of funds. We engage volunteer leadership. We pursue the best governance practices. For over 50 years, the University of Colorado Foundation has partnered with the University of Colorado to enhance philanthropic support for CU. Private support for the University, given through the philanthropic portal of the Foundation, enables the University to transform lives through education, research, clinical care and community engagement. 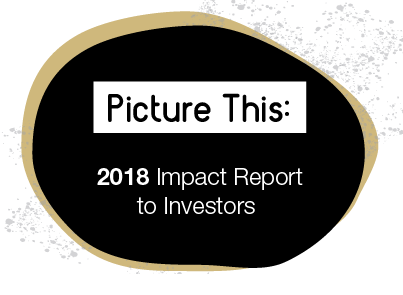 See the Annual Report to Investors 2017-18 and the CU Foundation’s Audited Financial Statements for highlights of the Foundation’s most recent fiscal year ending June 30. See CU Foundation’s Financial and Investment Documents for additional years, fiscal policies and guides. The Foundation was founded in 1967 by a group of dedicated alumni and community leaders who sought to raise and invest private funding for the University to augment its other revenue streams. The CU Foundation is a legally separate 501(c)(3) charitable organization that functions as a part of CU Advancement. The Foundation focuses its efforts on donor stewardship through customer service and assurance in gift acceptance, processing and administration. During financial year 2018, the Foundation processed over 77,000 gifts and commitments. The Foundation invests and allocates gift funds in a manner consistent with the purposes established by donors, and distributes dollars from its managed funds to support a wide variety of programs and activities throughout the University system and on its four campuses. As of June 30, 2018, the Foundation managed more than $2 billion in assets for the benefit of the University of Colorado, including more than 3,000 current fund accounts and more than 2,800 endowment funds. The endowments collectively were valued at $1.36 billion, and the Foundation’s Long Term Investment Pool (the “LTIP”) was valued at $1.67 billion. For the fiscal year ending June 30, 2018, the LTIP increased in value by +11.07%. As of June 30, 2018, the LTIP’s 3-year annualized investment performance was +7.54%, its 5-year performance was +8.93%, and its 10-year performance was +6.44%. See the Investment Updates for a current report on the LTIP’s recent investment performance. During FY 2018, the University benefited from a record $440.4 million in private support, $233.2 million of which was donated through the Foundation. In that same year, the Foundation transferred an aggregate of $166.7 million to the University. The Foundation is governed by an elected Board of Directors. Board committees include an Investment Policy Committee, a Finance/Operations Committee and an Audit Committee. See a list of board members and committee chairs. The Foundation’s day-to-day operations are overseen by Jack Finlaw, its President and CEO, working with an administrative staff of 26 employees, including senior leaders Mike Pritchard, the Vice President, Finance/CFO; and Keller Young, Vice President, General Counsel/CAO. Read more about the Foundation’s executive team. The Foundation follows an outsourced chief investment officer model (OCIO) and contracts investment management services through Perella Weinberg Partners, a private investment management firm. The Foundation’s Investment Policy Committee establishes the investment policy parameters within which the OCIO operates, and monitors the OCIO’s performance with an independent consultant’s assistance. and a distribution from a board-designated quasi-endowment. Of total revenue anticipated in fiscal year 2019, the Foundation will retain $5.2 million to fund its operations and $1.3 million as an addition to its unrestricted net assets. The Foundation will transfer the remaining $24.9 million to CU as a contribution towards funding CU Advancement’s operating expenses and IT infrastructure investments. The Foundation’s Board of Directors has established an Endowment Spending Policy that sets the parameters for spending from the endowments the Foundation holds for the University’s benefit. The board is committed to investing and administering all endowment funds in compliance with applicable federal and state laws and industry standards. The Endowment Spending Policy’s objective is to achieve a balance between the University’s present and future needs. This means balancing the needs of current beneficiaries and the University’s advancement operations, while preserving an endowment’s purchasing power to support future beneficiaries. The policy aims to provide the University with perpetual, growing and consistent revenue and to preserve each endowment’s real value, net of annual distributions and fees. The annual distribution to a CU program from an endowment is paid on the first day of each fiscal year (July 1) in an amount equal to 4% of the endowment’s trailing 36-month market value as of the prior December 31. The annual assessment to fund CU Advancement operations is 1.5% of the market value of each endowment. The fee is calculated as of December 31 and paid on the following July 1 of each year. The Foundation suspends distributions from pure endowments when the endowment’s market value is less than 90% of its historic gift value. On behalf of CU Advancement, the Foundation convenes quarterly meetings of Trustees who are members of a national philanthropic council for the University of Colorado. Trustees serve as informed advocates for higher education and as ambassadors for CU. Trustees work with CU Advancement staff to help identify, cultivate and solicit prospective donors to CU. Trustees also commit to making personal gifts to CU at a level that reflects that CU is among their top philanthropic priorities. See a list of Trustees. See the impact you and CU have together on our world.